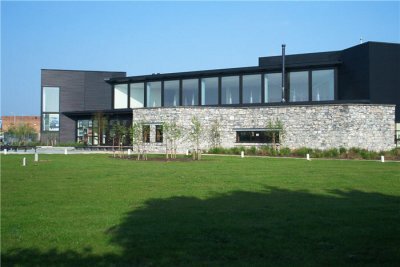 This project involved the construction of a new International Folk Music Centre with 550 seating capacity to create a high-profile tourism / leisure facility in Ennis, Co. Clare. The main structure comprised of a steel frame with insiitu concrete floors. 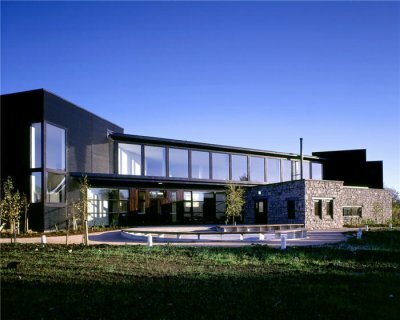 The external elevations were completed with architectural insulated panelling with a mix of curtain walling and natural stone walling to the reception area. The main auditorium was fully fitted out as part of the works and included retractable seating, extensive acoustic wall panelling, stage lighting, hardwood dance flooring etc. 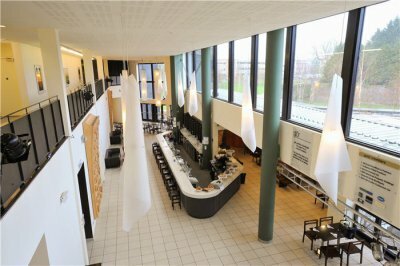 The remaining ground floor areas contain a café/bar with a retail area (sometimes used as an exhibition space) and a smaller meeting room. The final first floor areas include an auditorium gallery, an exhibition gallery and offices.